NOTE: You may want to do this on a plastic tablecloth if there’s a chance that the food coloring may stain your table. Pull off a sheet of wax paper a little larger than your construction paper. Spray shaving cream evenly back and forth on the wax paper until it’s about the size of your paper. Drip different colors of food coloring on the shaving cream. 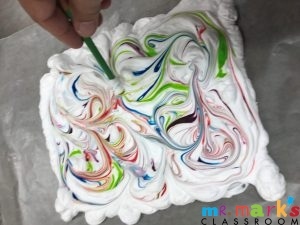 Use a small popsicle stick to swirl the food coloring. Lay the construction paper onto the surface of the shaving cream and lightly pat it with your hands so that it makes complete contact with the shaving cream. Gently pull off the paper and lay it shaving cream side up on the table. 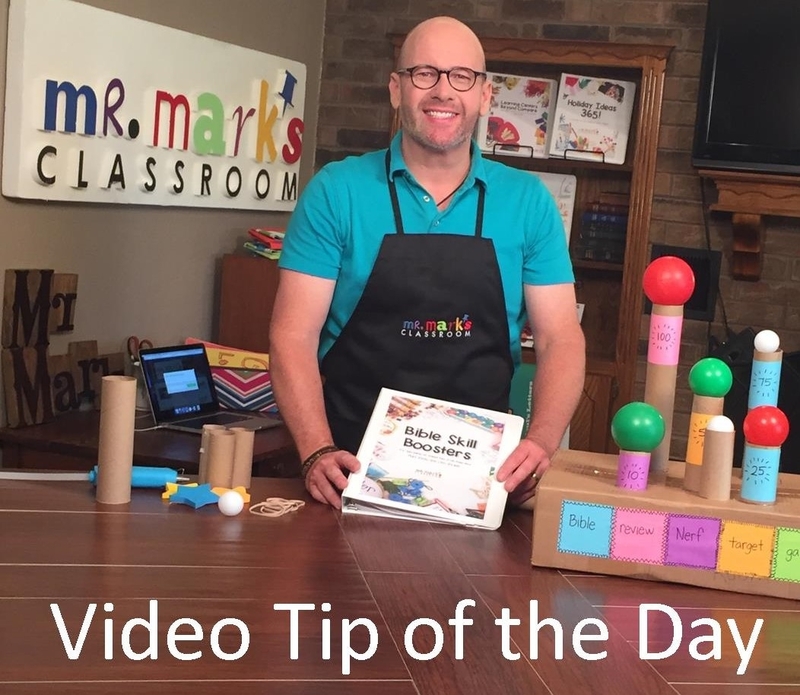 Use the paint stirrer or a ruler to squeegee the shaving cream off of the paper. You can make many prints from the same shaving cream palette.